While we might not spend much time thinking about it, the boiler is arguably the most important device in any home. They constantly ticking over throughout the year, heating the water that goes into our baths and showers, and keeping our homes toasty. But “domestic” boilers are just a small part of the story – boilers have been evolving for centuries! It’s difficult to say with any certainty when boilers were first ‘officially’ developed. People have been bathing in heated water since the Roman era; in Britain, you only need to visit the beautiful city of Bath to enjoy their famous, historical, natural hot springs. First prototypes of boilers consisted of little more than an iron cauldron of water sat atop a roaring log fire: Once the temperature of the water had risen to the right point, it would be poured into a tub and left to cool (warming the room while it does so). But, with the arrival of the industrial revolution, things got considerably more sophisticated. 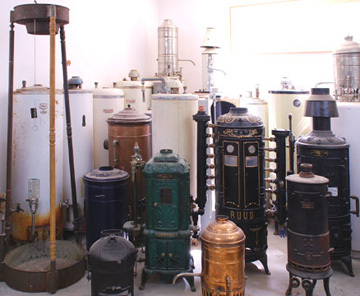 Let’s run through the changes in our short history of boilers! Thanks to the mid 19th century, it became possible to manufacture complex machinery, capable of heating water in a much more efficient way. Then the ‘firetube boiler’ was born – this was the sort that powered steam trains and ships and was the first step in the right direction. Inside the firetube, hot gases are pushed through an array of metal tubes, which run through the center of the tank. The water is maintained at a certain level to prevent the tubes from getting too hot, and steam is allowed to escape through a narrow pipe. Maintaining the pressure inside the boiler was difficult and tragically, while the industrial revolution was at its height, explosions killed thousands of engineers each year. 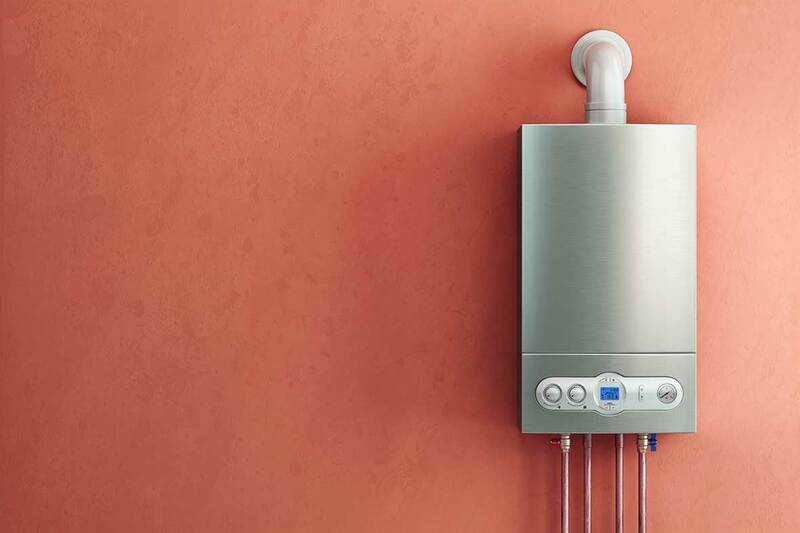 The first true ancestor of the modern boiler was likely the invention of a painter named Benjamin Maughan, who in 1868 developed a water heater that could quickly heat water without the aid of solid fuel. Domestic water-storage and heating tanks soon followed, allowing homes across the country to enjoy what we now understand to be central heating. Old boilers of this sort were vulnerable to a premature end thanks to thermal stress. In order to save energy, operators would switch their boilers off when they weren’t in use. This caused the pipes to expand and contract, which over time caused them to fail. This problem was addressed with a new sort of tube which was designed to flex in response to heat. So-called ‘bent-tube’ boilers were able to cram far more pipes into a smaller space, which improved efficiency as well as longevity. During the early 20th century, there was growing demand for low-pressure boilers among homeowners. 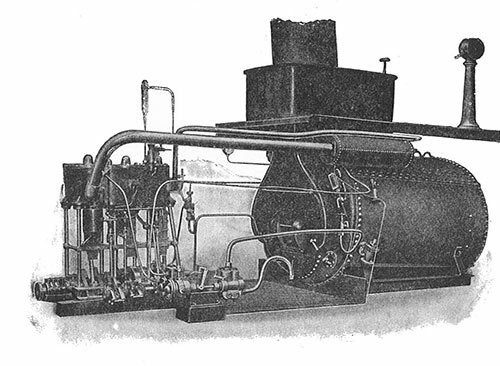 Unlike those used in industrial applications, where high-pressure steam was necessary, residential boilers tended toward lower pressures for safety reasons. Cast iron was the favoured material at the time, thanks to its affordability and high tensile strength, along with its natural resistance to oxidation. The rust-resistant chemicals used in modern boilers had not been implemented at this time, and thus cast-iron boilers were often shipped into large apartment buildings in pieces and assembled on-site. 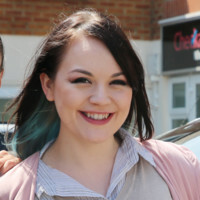 The lower pressure meant that boilers lasted longer, which helped to drive costs down for landlords and homeowners. Following the Second World War, an enormous boom in industry caused demand for boilers to skyrocket. It was at around this time that a new, simpler design caught on. This design employed rectangular tanks, each covered with short tubes. This allowed for a degree of easy maintenance and cleaning that couldn’t be achieved with bent-tube designs. Further innovation came in the form of copper-fin boilers, which could be made lightweight enough for pool-heating work. Copper is a fantastic conductor of heat, and thus boilers of this sort are able to get to temperature extremely quickly. 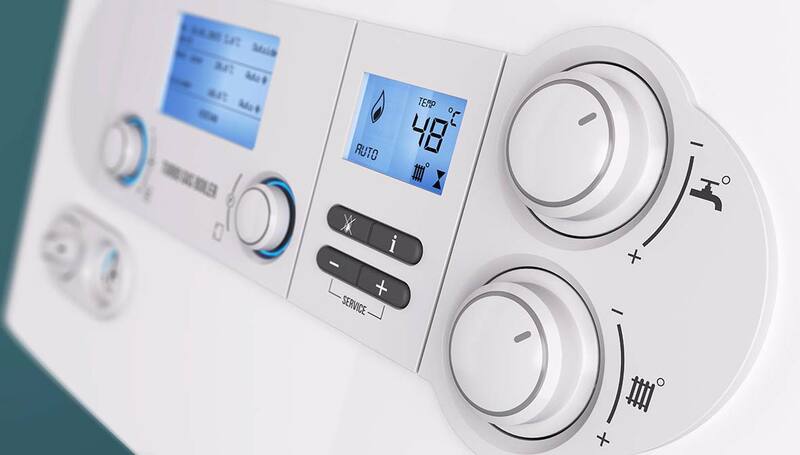 Condensing boilers represent the standard for modern efficiency. They are so-named thanks to their ability to condense water vapour present in the exhaust gases, which recovers a portion of the heat. This is then used to heat up cold water entering the boiler. In the UK, all new gas or oil-powered central heating boilers must be of the condensing sort. According to the Energy Savings Trust, a new condensing boiler could save you more than £300 in heating each year. Contrary to popular perception, modern condensing boilers are no less reliable, nor more difficult to maintain than their counterparts from yesteryear. Install a condensing boiler one in your home, and you stand to recoup your losses within just a few years.